Thermoplastic body. Switchable 1kW/ 2kW output. Internal adjustable thermostat. Pull cord on/ off. Suitable outside of bathroom zones 1 & 2. IP21 rated. White. LWH: 130 x 95 x 245mm. Wall mounting only. 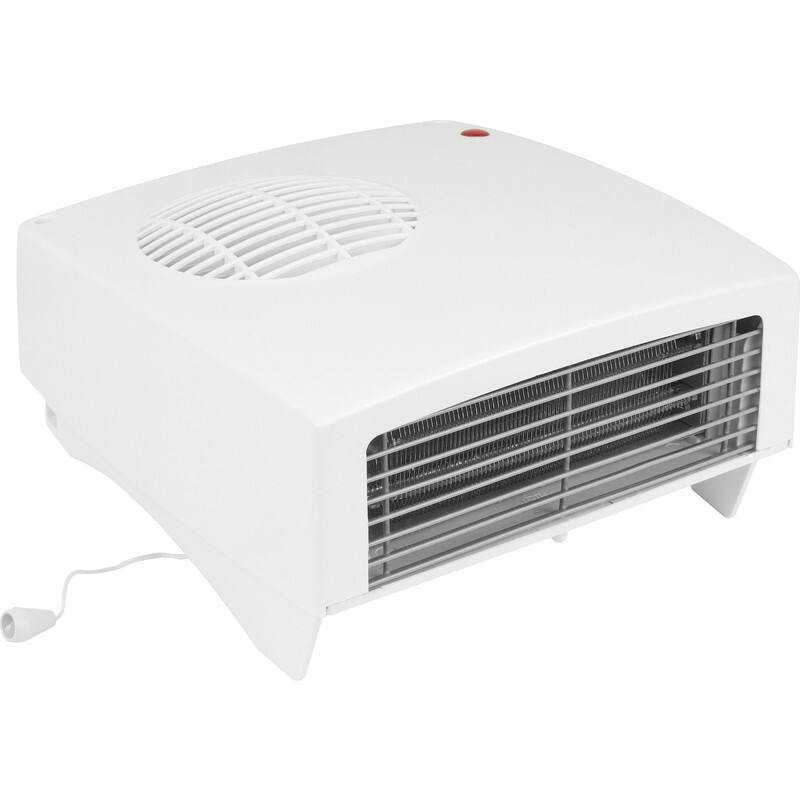 2kW Downflow Heater White is rated 3.9 out of 5 by 24. Rated 1 out of 5 by Bgrantleelec from Extreamly difficult to fit I brought this heater hoping it would be similar to a heatstore or dimplex. It is not. It’s made of cheaper materials, the heat shield fell out, the front cover was so difficult to fit on that after 15 mins of messing about, I just put 2 long woodscrews in. Complete nightmare and would never recommend or use it again. Rated 4 out of 5 by Lbjohn from Same fixings as our old heater! Previous heater thermal cutout was faulty. This fits in same place. Inlet at rear and front. Good buy at the price. Rated 4 out of 5 by chilly70 from Works well Seems a bit flimsy compared with the previous heater, winterwarm, and fiddly to install but does the job at this time of year when you don't want the central heating on! Rated 5 out of 5 by Bidgey from It’s hot I purchased this as a replacement to my bathroom heater. It has been fitted and looks good but more important it does what it says keeps the bathroom warm. it’s was very competitively priced which was important. Rated 5 out of 5 by gambarrelondon from Good affordable heater that does the job Purchased this heater to provide additional heat in the bathroom. It was easy for the electrician to install, looks nice and is great for providing some additional heat in the bathroom. Would recommend this product. Rated 3 out of 5 by Lamorna from Efficient heating Purchased recently, easy to fit and gives a good supply of quick heat, but rather noisy. Maybe better to have purchased more expensive unit.